Much like rummaging for dinner, looking to the wild for building materials is a return to our premodern, preindustrial traditions. These days, most of us don’t have the patience to put down our smart phones long enough to collect supplies, let alone the wherewithal to fasten them into anything more complicated than a slingshot. But designers are turning back the clock to create one-of-a-kind pieces rich with character, history and a sense of place – and some of it doesn’t even cost much. Case in point: a health centre in Pictou Landing he co-designed with Brian Lilley and Peter Henry, two other Nova Scotia architects. The building is buttressed with spruce trunks plucked from a nearby forest. The hyper-local effect is heightened by the use of indigenous construction techniques to fasten the trusses, almost like a modern-day longhouse. Kroeker points out that foraging can also be highly economical. The spruce poles used for the Pictou Landing project saved money because they weren’t purchased from a lumber yard, which helped the community pay for the much-needed facility. In addition to technical difficulties, scavenging can raise ethical complications. 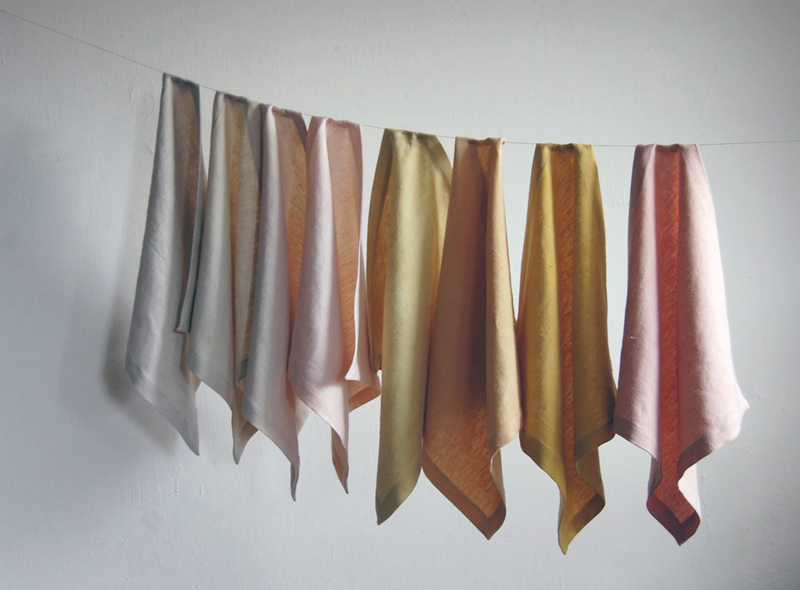 Natalie Stopka is a textile designer who lives in the Catskill region of New York. She gathers plants such as goldenrod and fennel to make fabric dyes, but she’s careful not to take too much. The rules change when it comes to environmental bugaboos. “Only known invasive species should be aggressively foraged,” suggests Stopka. Invasive species, and things that should never be, but often are, found in nature. Like garbage. Disturbed by the “plastic soup” floating in the world’s oceans, Studio Swine, a London and São Paulo-based firm run by Azusa Murakami and Alexander Groves, started collecting bits of junk they found on beaches. They developed a way to melt and mould the pieces into a line of stools called Sea Chairs. To encourage others to do the same, Murakami and Groves published step-by-step instructions on their website http://www.studioswine.com. For anyone who wants to forage and make their own furniture, it’s a clever way to combine a preindustrial tradition with a forward thinking approach to recycling and reuse. This entry was posted in Design Spy and tagged Adam Thom, Architecture, Decor, Design, Furniture, Home Decor, Napkins, Nova Scotia, Richard Kroeker, Studio Swine, The Globe and Mail by mmhague. Bookmark the permalink.